DENVER – Halfway through 2018, prices are at record highs, inventory is at record lows and home sales are trailing 2017’s pace, according to the RE/MAX National Housing Report. To access the housing report infographic, visit: https://rem.ax/2phKHWT. 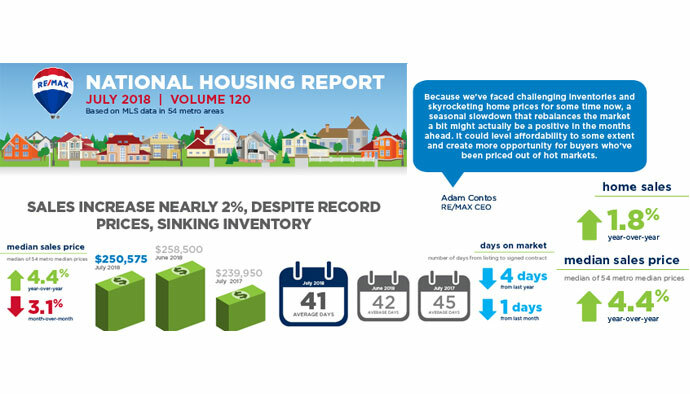 For specific data in this report or to request an interview, please contact newsroom@remax.com. Please note that the June 2018 report has added in Salt Lake City, UT and deleted Fargo, ND.